We liked Mean Girls the first time we saw it, when it was called Heathers. But then we realized that the people who did Mean Girls were certainly aware of Heathers because a) Tina Fey is awesome and b) the dude who directed Heathers’ brother directed Mean Girls. 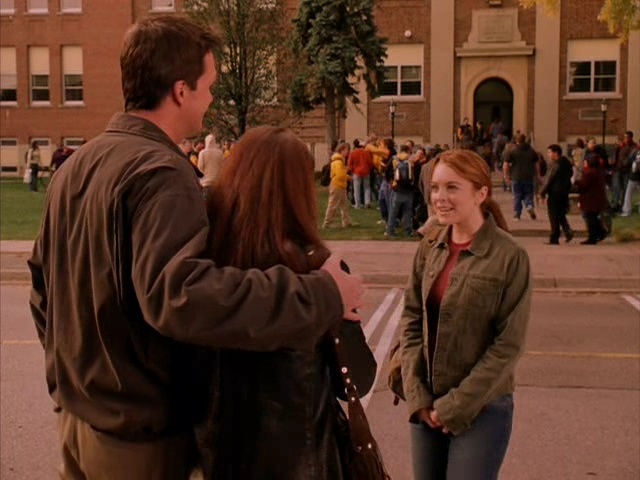 Also, we were drawn in by a pre-insanity Lindsay Lohan, a pre-Gosling Rachel McAdams, and the fact that despite being set in the suburbs of Chicago, it was filmed right here. The first thing you need for such a high school film, naturally, is a school. In this case, the bulk of the shoot was at Etobicoke Collegiate Institute, proudly one of the oldest schools in town. Later in the movie, you can even see the train going behind Lindsay, on Montgomery Avenue. 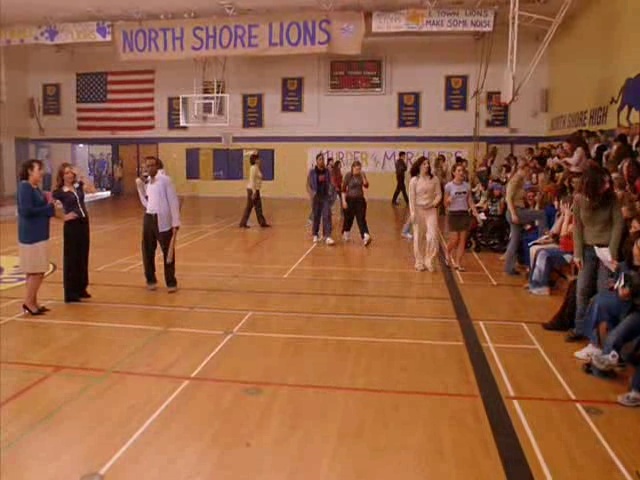 There are lots of shots of the school’s front during the opening credits and we also see the football field in the rear. ECI grads shouldn’t get too high on themselves, because their school clearly isn’t perfect. Some classroom scenes were grabbed at Givins Shaw PS. The big gym confrontation was apparently shot at Malvern, and some office shots were grabbed at the Laughlen Centre, a former nursing home on Edward Street. One reason Toronto passes so nicely in this film is that it doesn’t take place in downtown Chicago, but rather suburban Evanston. It’s a pretty well known, affluent place that has produced the likes of John and Joan Cusack, Jeremy Piven, and (of course) Donald Rumsfeld and Eddie Vedder. When the gals go shopping it’s at the Old Orchard Mall in nearby Skokie. But it may be more familiar to local shoppers as Sherway Gardens, also featured in The Sentinel. It’s just so pretty and white and, well, mall-y. Apparently the actual mall includes green, rather than white, décor, and is OUTdoors, but if you want your tax breaks, you make your compromises. Still, if some Illinoisans felt the film didn’t quite ring true, maybe it’s our fault? We at Torontoist hate to brag, but we’ve been waiting for this perfect moment to reveal that Mean Girls shot a few choice exteriors at our offices. Actually—ha ha, we probably fooled you there—Regina George’s house is up on the Bridle Path (NOT the Bridal Path, folks). 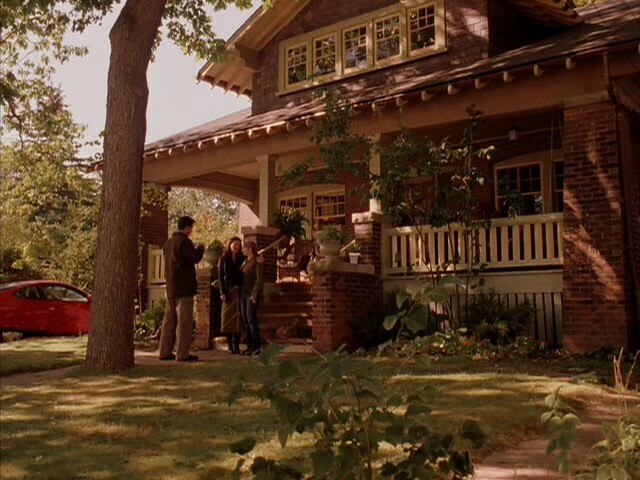 Other residential scenes, such as Lohan’s neighbourhood, were shot in the east end, near Beech and Balsam avenues. 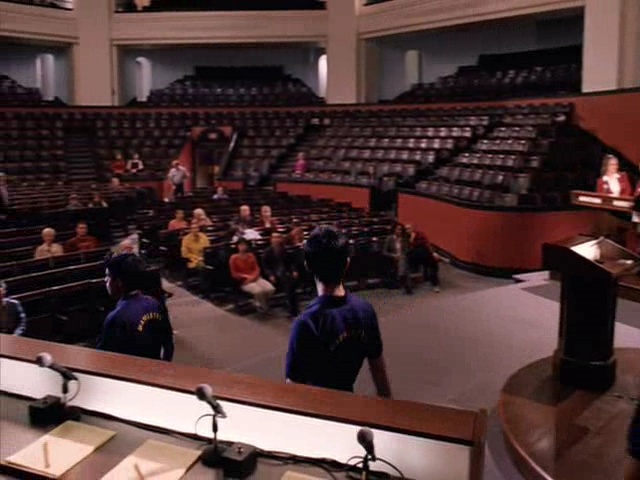 It’s a bit hard to miss that the Mathletes competition at the end takes place at Convocation Hall, since they show the handsomely lit interior and used the exterior. We would be remiss if we mentioned the Mathletes without giving a little shout-out to homeboy Rajiv Surendra, who basically steals every scene he’s in.